This is a great brooch. Made of black bakelite it has the image of an Egyptian cobra with a geometric design in the background. 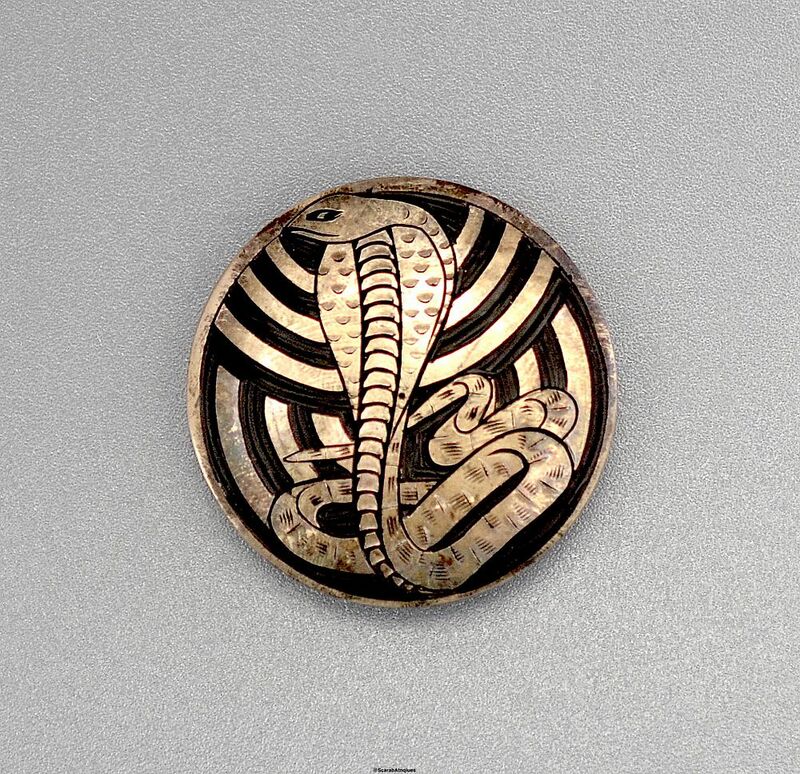 The cobra's body is textured to give the impression of scales and both the snake and parts of the geometric design have been gilded. There is a side fastener.